• Planning permission to build was sought as early as 1658 but the parish only came into being in 1840. Before that time folk had to walk or go by horse and cart 4 or 5 miles across Croston Moss to the mother church of St. Michael and All Angels, Croston. • Along with her sister church, St. John the Baptist, Bretherton, both churches were consecrated by the Bishop of Chester in June 1840. They shared the same architect and are similar in design and appearance. • Most interest lies in East Window which is particularly beautiful and contains several window lights. From the left the first is dedicated to Rev. Twiss’s father, Richard, the second third and fourth are dedicated to his mother, Henrietta, the fifth light commemorates the building of the Chancel in 1879 and also celebrates the 40th year of his ministry. • A Marble Plaque on the left of the Sanctuary commemorates,Henrietta, his sister. On the right hand side of the Sanctuary there is a window dedicated to Margaret, the wife of the fourth Rector, Edmund Thomason. She died of pneumonia in 1907 leaving her husband and seven children. He himself was to die in a cycling accident in 1912 and both are buried in the church yard. • Undeterred by his wife’s death, the Revd. Thomason worked hard to obtain funding from the Carnegie Trust to provide an Organ and Loft. Both were dedicated in 1909. • Opposite the organ are Two Plaques bearing the coat of arms of the Master’s of Croston (Rector of Croston and benefactor) and the Twiss family. The Latin quotation PARTA – TUERI means ‘Care for the Children’. • The Nave and Balcony of the church hold up to 200 people. Pause by the Remembrance Corner and notice how many from the parish died in conflict. The Tablet was added to the wall in the early 1960’s. Names like ‘Cobham” indicating family relationships. The dark coloured Reredos in the Sanctuary was given by Ellen Cobham and has carved on the top side the names of her three sons she lost in conflict. Also note the shield with a Cross-Keys motif which is the symbol of St. Peter. After years of independence things have now come full circle. In 2015, St. Peter’s Mawdesley with Bispham became part of a United Benefice along with St. John the Baptist, Bretherton and St. Michael’s, Croston. 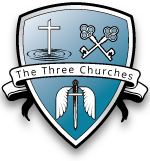 The three parishes retain their independence but try to work together jointly to share things in common and evolve a future vision of ministry, mission and service for this much enlarged area. The present Rector, Rev. Michael Woods, who is resident in Croston, heads a ministry team for the whole United Benefice and also encourages each local congregation to support its own village and wider area. If you would like to know more or join us at St. Peter’s have a word with one of the parishioner or Rev. Michael who would be happy to help.